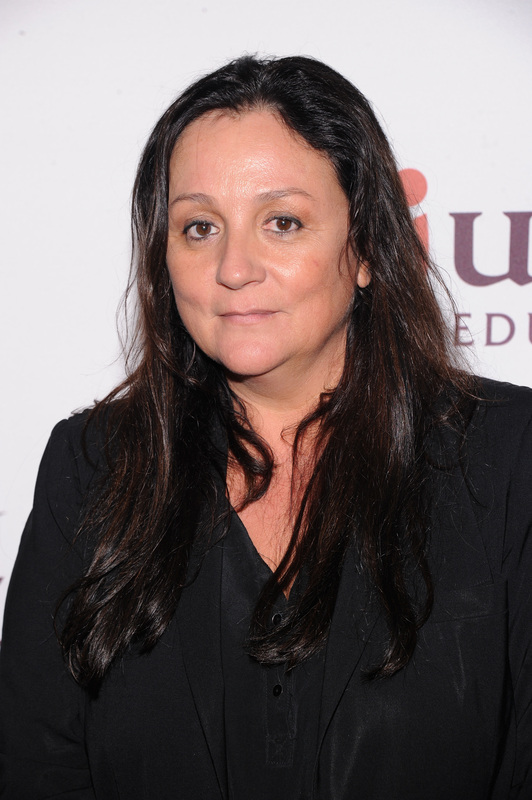 PR maven Kelly Cutrone's no BS attitude is normally refreshing. Lest we ever forget that she was maybe the only person ever on The Hills who really didn't seem to care that Lauren Conrad and Whitney Port were on MTV. Plus, she once she made Stephanie Pratt cry on national TV (which, admittedly, was probably not that hard to do when you consider those girls were always crying). However, Cutrone's recent interview with The Fashion Spot has all of the frankness she is known for, but without any of the refreshing honesty. "Society has a hyper emphasis on thin and that trend comes from the consumers — it does not come from the fashion industry. The fashion industry needs to make money, that's what we do," says Cutrone. "If people said, 'We want a 300 pound purple person,' the first industry to do it would be fashion." Cutrone is right: the fashion industry is a business, and, like all businesses, they need to make money. Fine. Valid. But when 78 percent of American girls identify as being "unhappy with their bodies" is the solution really just to shift the blame on to consumers? Cutrone seems to underestimate the power that the fashion industry holds over consumers, especially young girls. A survey from the National Heart, Lung, and Blood Institute found that 40 percent of girls 9 and 10 years old have tried to lose weight. The same study found that by age thirteen, 53 percent of American girls wish they could change their bodies. The problem — which Cutrone ignores — is that the obsession to be thin begins at a young age, way before girls have the critical thinking skills to ask for "a 300 pound purple person," or, more realistically, a size six. The fashion industry's limited and disparaging portrayal of women and girls makes it near impossible for women — especially young women — to understand that thin is not the only body type. This isn't a "chicken or the egg" situation, and victim blaming — from either side — is not the solution. What's important is that, as Cutrone notes, our society has a "hyper emphasis on thin," and that emphasis can be potentially fatal. Regardless of who is the first one responsible, a change needs to be made. The truth is, the fashion industry has a great deal of power. If they committed to it, they could likely prove that women who wear a size zero do not have a monopoly on being beautiful.